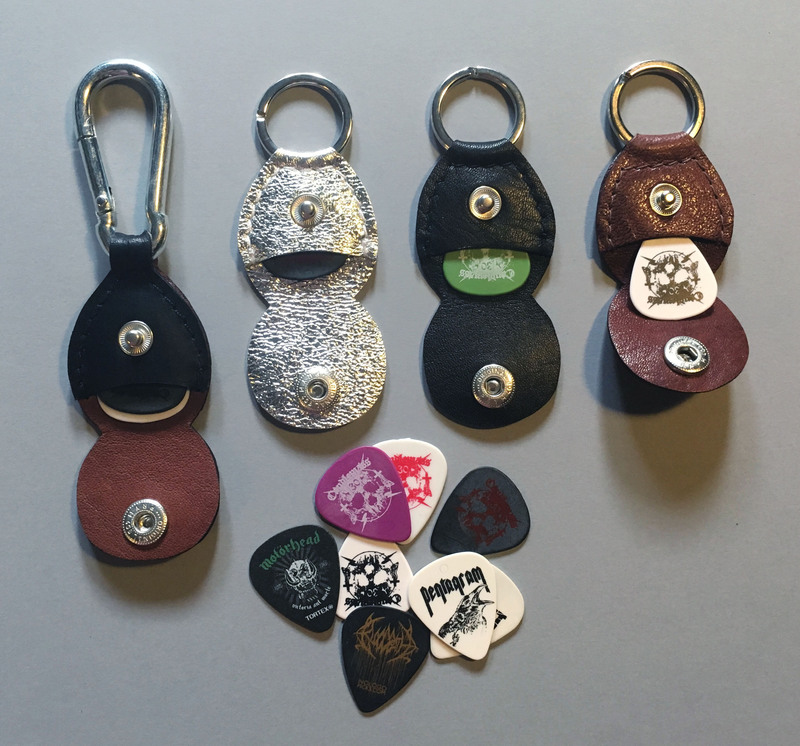 with one of my Pick-Buddies! 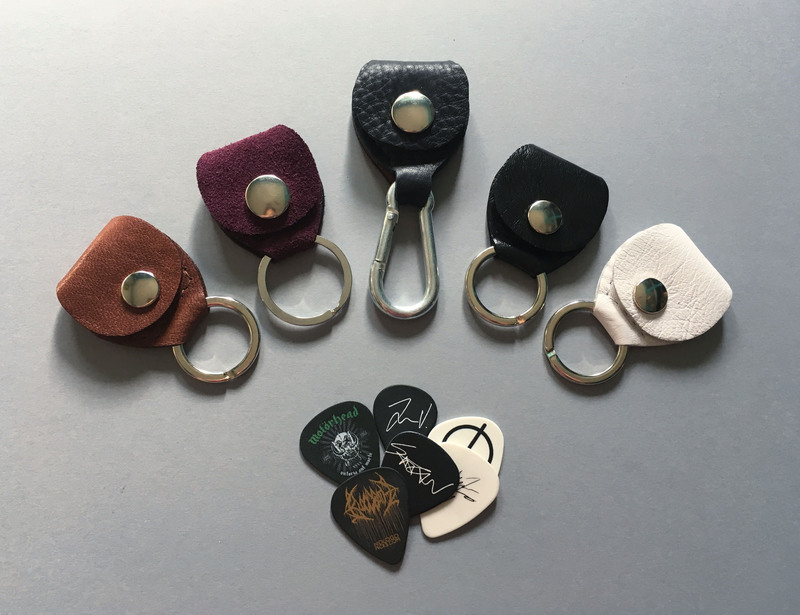 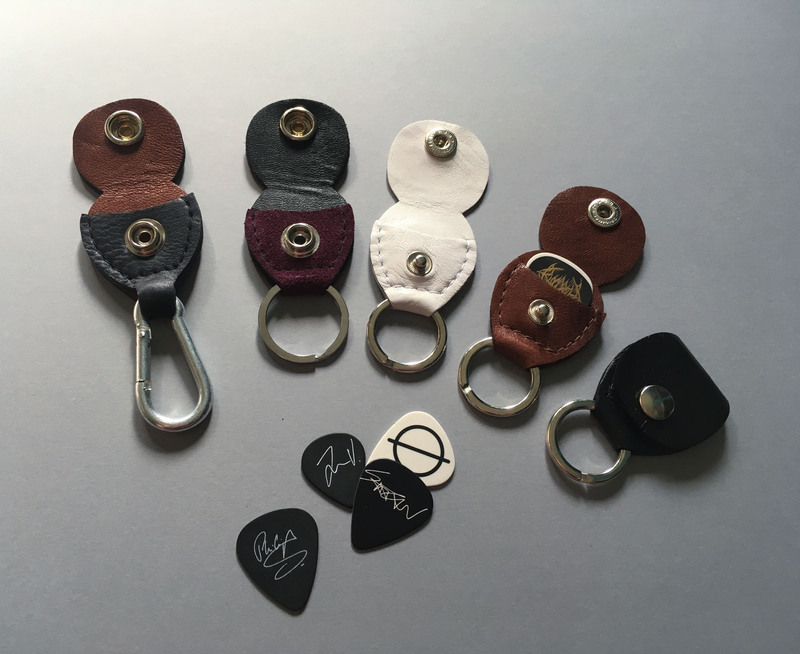 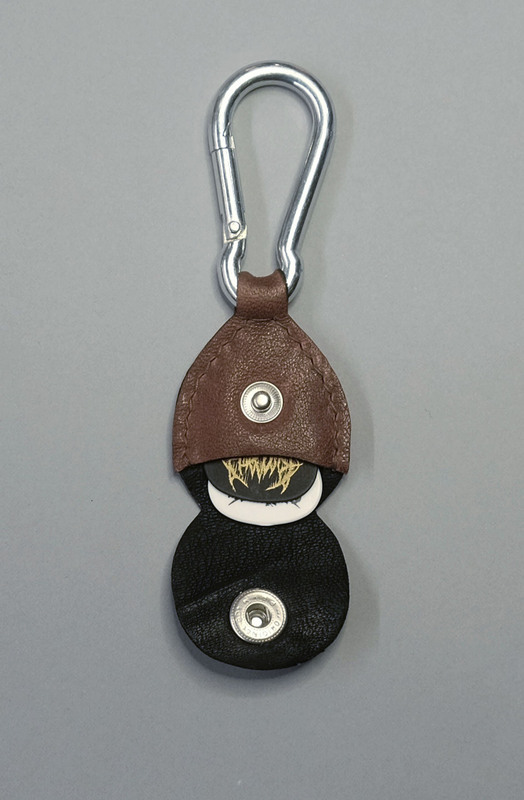 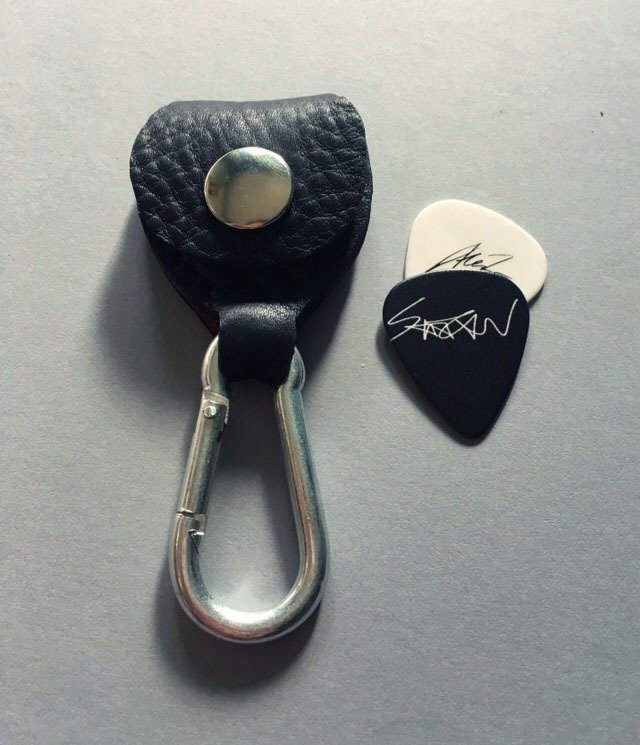 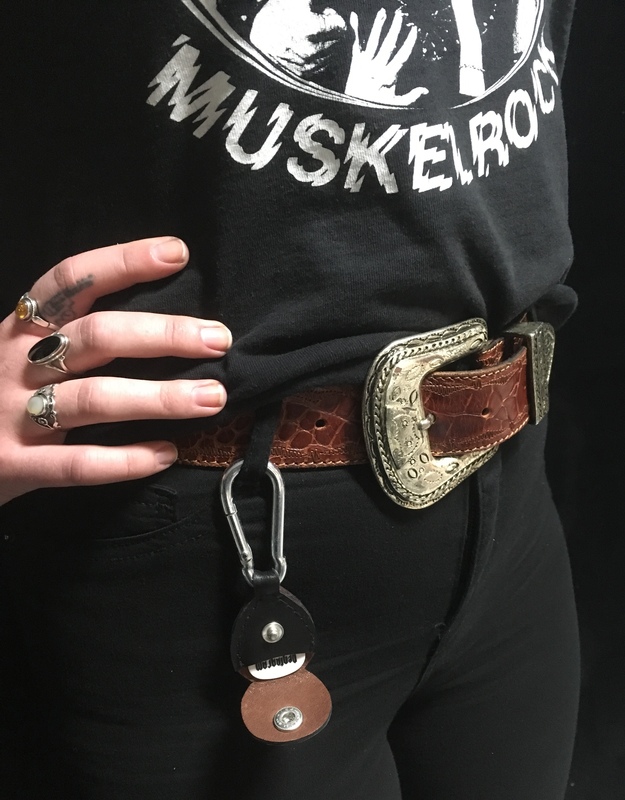 Room for up to four guitar picks. 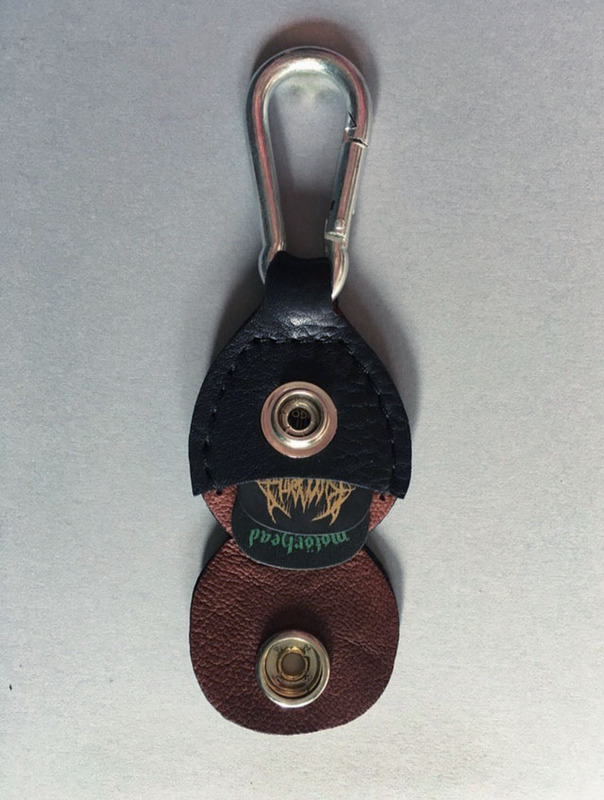 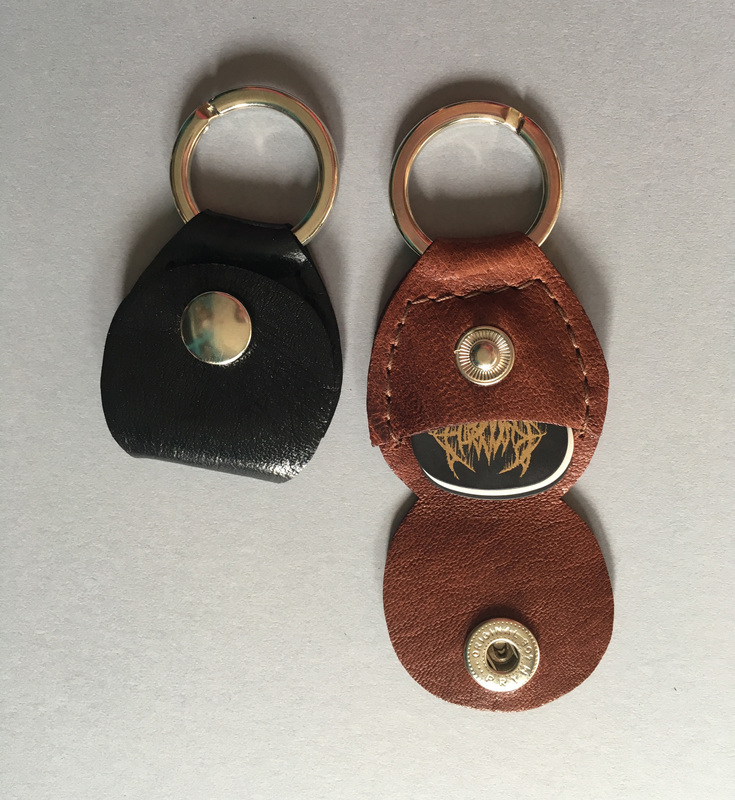 Choose between\n keyring or carabiner. 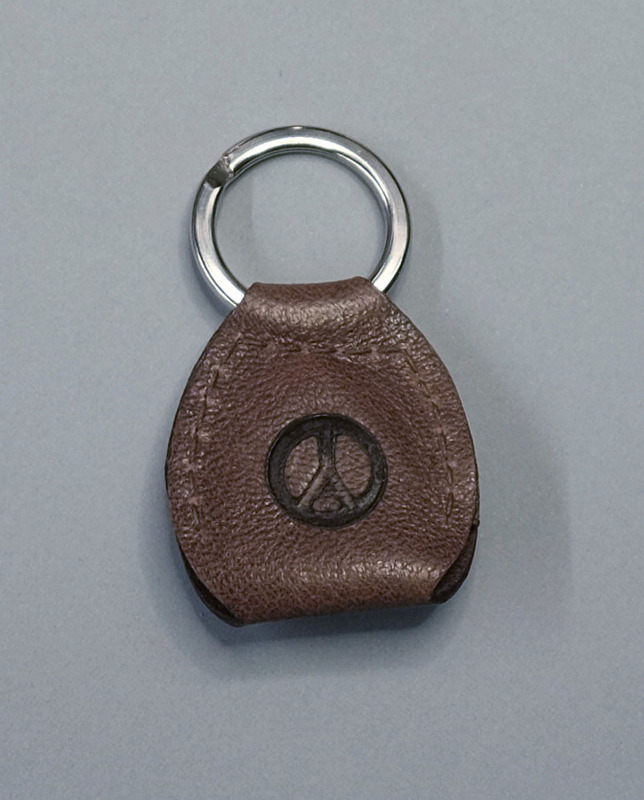 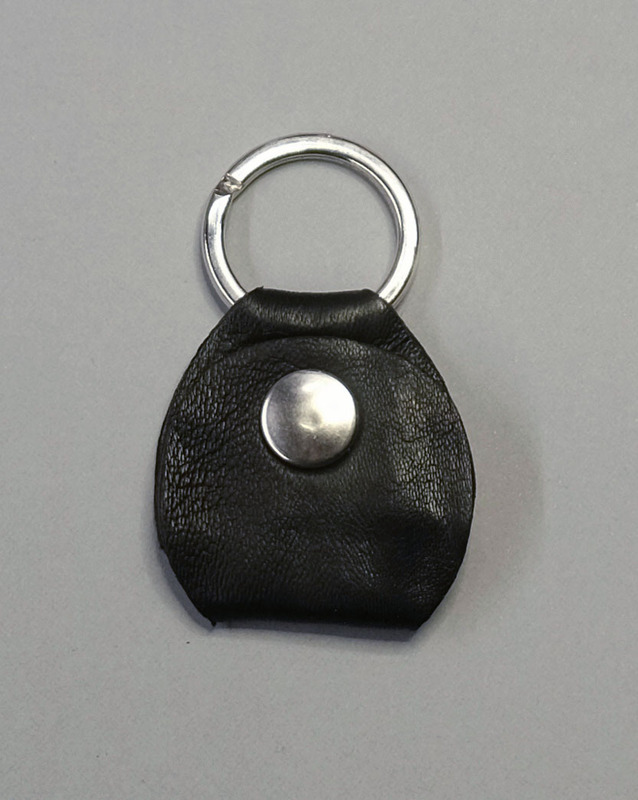 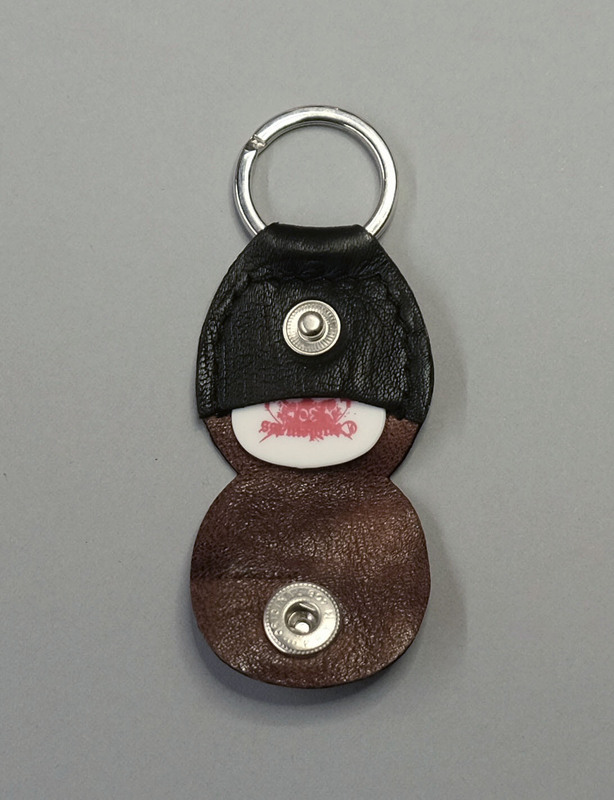 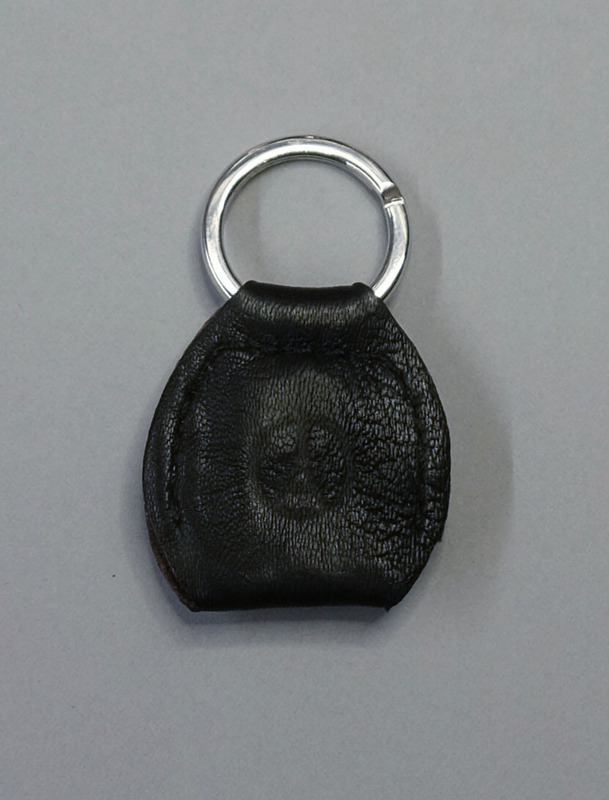 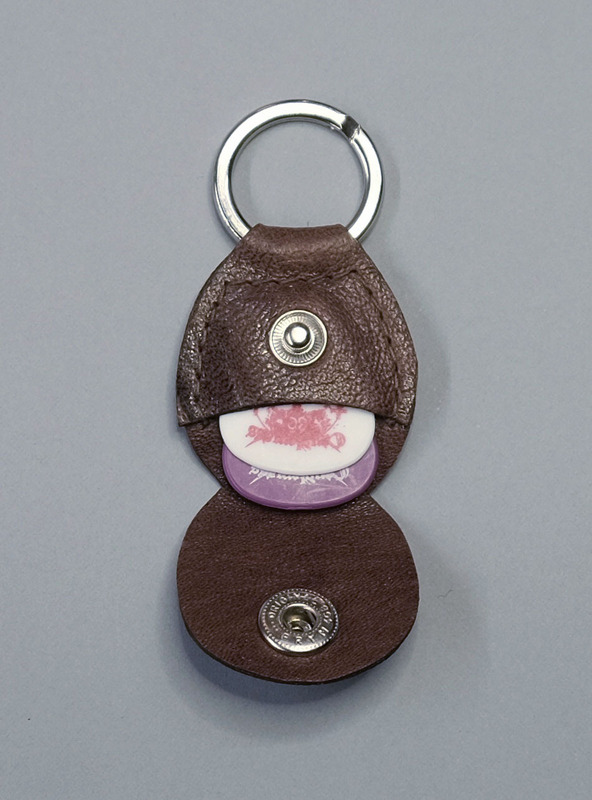 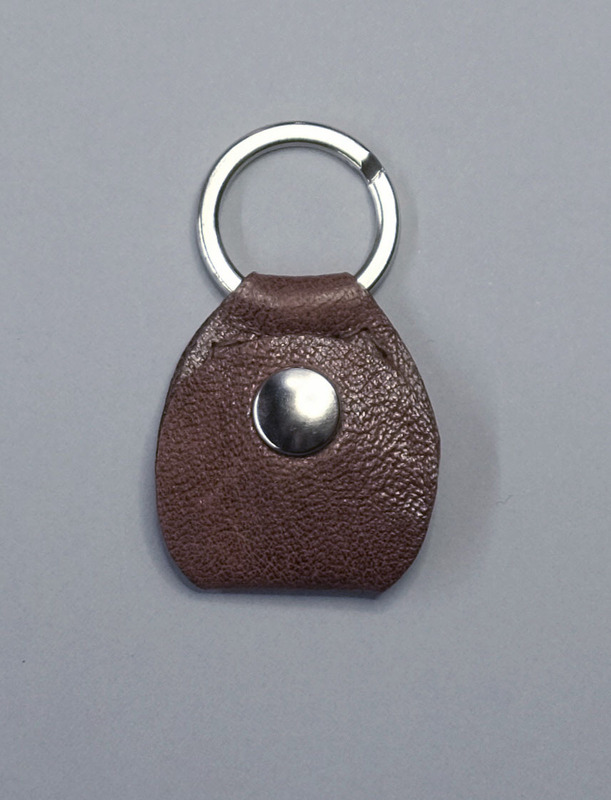 Size: 4 x 6.7 cm\nwith keyring, 4x10.5 cm with carabiner. 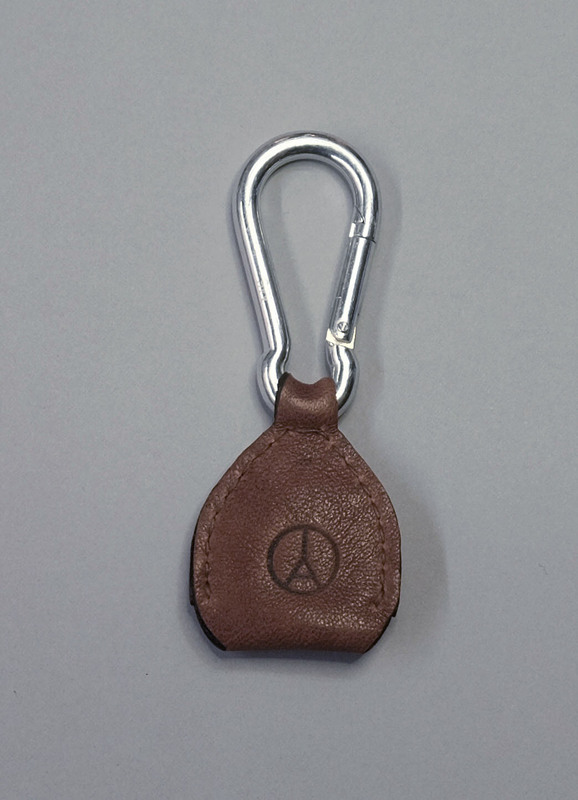 Choose between keyring or carabiner. 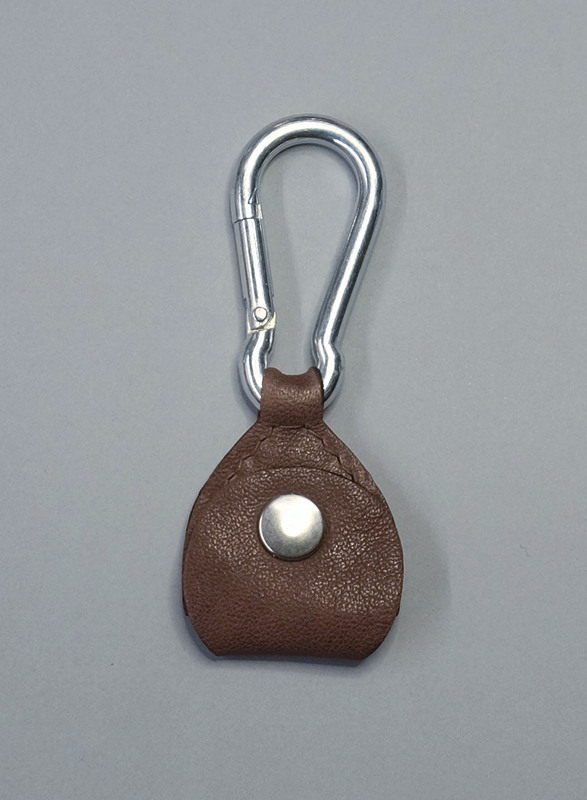 Size: 4 x 6.7 cm with keyring, 4x10.5 cm with carabiner.